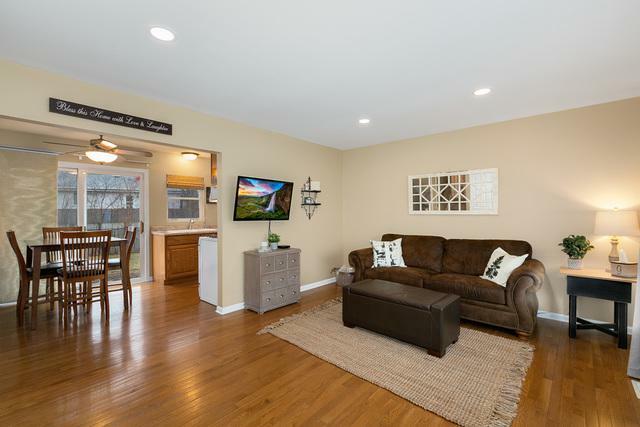 Cute split level 3 bedroom 1.5 bath home in the Sugarbrook Subdivision updated throughout, move in ready and maintained with pride. 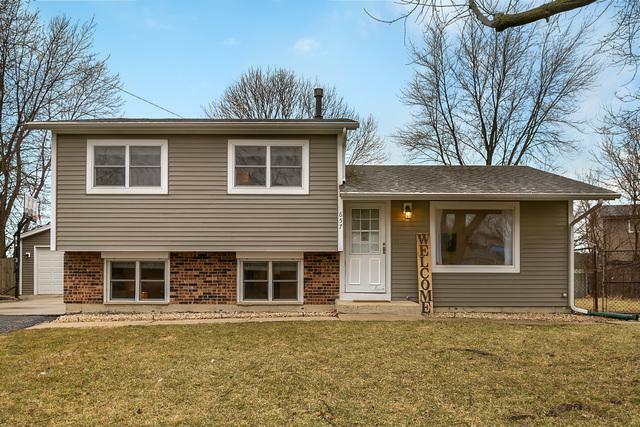 Oversized lot on Cul-de-Sac with fenced in backyard and access to Comed Greenway. 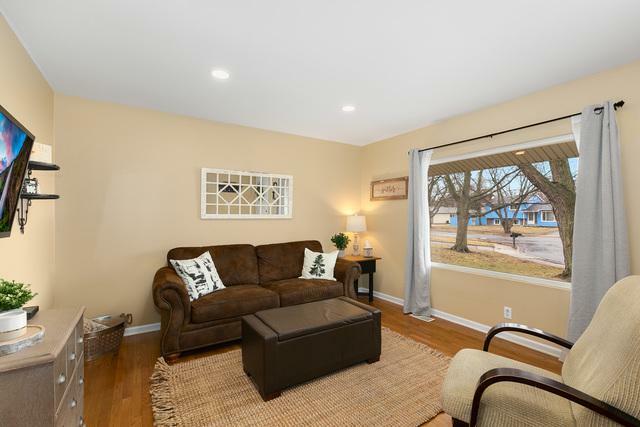 Main level hardwood floors and open living room with natural light from nice open windows front and back. Freshly painted, professionally cleaned carpet in bedrooms and lower level family room which has been recently updated. Both bathrooms recently updated and master has professional tile work. Kitchen with hardwood flooring, new dishwasher, and sliding glass door to backyard from dining area. Canned lighting both main and lower level. Lots of shelving and storage in laundry room and additional storage in crawl space. 2.5 car garage, architectural roof done in 2013 & Radon mitigation system. 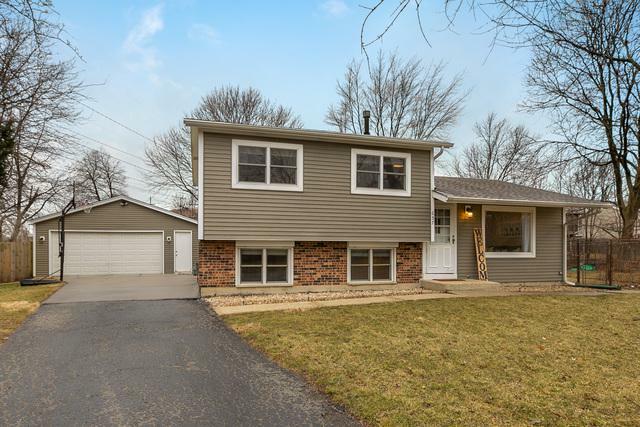 Close to shopping, I-55, schools & parks.